This stunning celtic ring is one of the narrowest in our range. 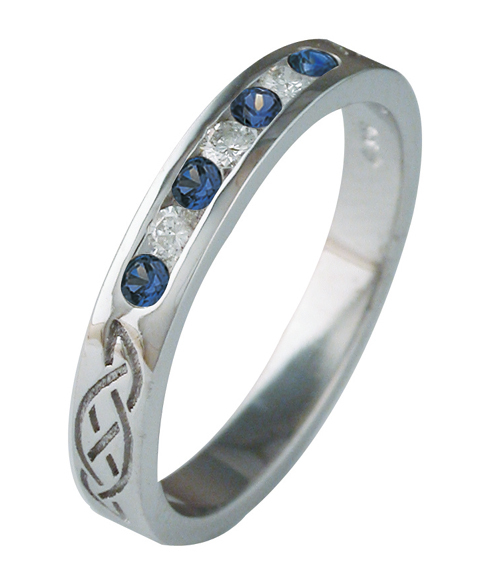 Features diamonds and saphires, 9ct gold. This stunning ring is a real head turner. Showing the basic celtic knot with stones. At 3.3mm it is one of the narrowest rings in our collection. Stones of your choice, Contact us for prices and options. All products sent within Australia are sent through Australia Post, free shipping for orders over $500."